Join Gunther Tours for a great coastal weekend get-away, full of fun and entertaining attractions on the Southern Seacoast of Connecticut! Welcome Aboard! 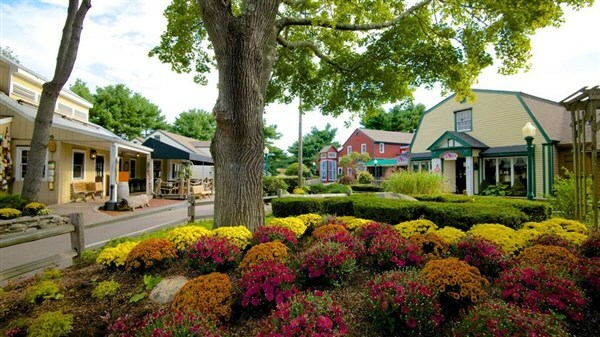 Settle back, relax and enjoy a leisurely drive to the Southern Seacoast of Connecticut for the start of a great weekend get-away! Upon our arrival in Mystic Connecticut, enjoy some leisure time at Olde Mistick Village, a recreated picturesque 18th-century New England town with small independent shops, boutiques, restaurants and much more. Later we are treated to a delicious dinner at a local restaurant before checking into the Hampton Inn for the next two nights. After a deluxe continental breakfast, we depart for the Cross Sound Ferry Docks in New London, Connecticut where we will embark on a 2-hour narrated Lights & Sights Cruise. Gain a new perspective on the history of Southern New England and Long Island area when our cruise parallels the mainland coastline out of the New London Harbor, and we view historic waterfront communities, military installations and lighthouses. We will see aristocratic mansions with stylish waterfronts too. Some of the sights to be seen include: London's historic waterfront, once the third busiest whaling port in the world. Now home to the United States Coast Guard Academy, New London is the home port for the Coast Guard's tall ship the Barque Eagle. See General Dynamic's Electric Boat Division. See where the first nuclear powered submarine was built, and they continue to be built today. You might see one under construction, under repair, or underway. See Fort Trumbull. Built in 1777, Fort Trumbull was attacked and captured by British forces under the command of the famed turncoat Benedict Arnold. Our cruise will also include making stops at different lighthouses, including the New London Harbor Light, the oldest lighthouse in Connecticut and the Long Beach Bar "Bug" Light - the pride of Long Island's East End Seaport Museum, just to name a few. Following lunch on your own we depart for Essex, Connecticut for a 2-½ hour train and boat excursion. 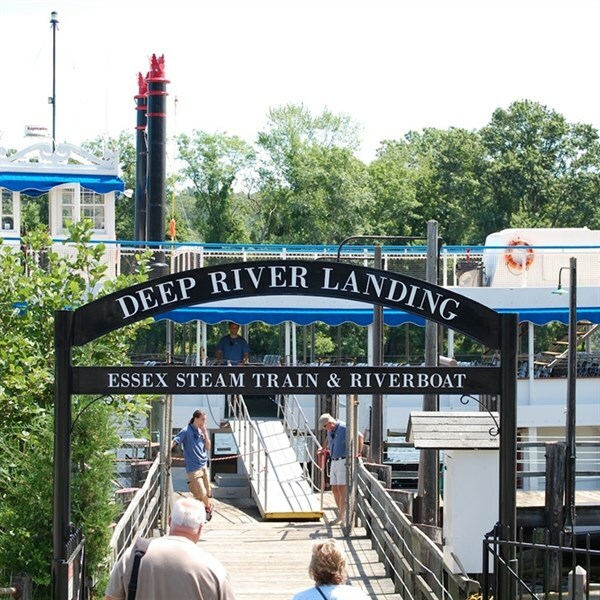 First, we board the Essex Steam Train for a ride through the picturesque countryside of the Connecticut River Valley. Next, we enjoy a "Becky Thatcher" riverboat cruise on the Connecticut River where we will pass the hilltop castle built by actor William Gillette and the Goodspeed Opera House. After returning to our hotel we are treated to a Pizza Party with salad and soft drinks before retiring for the night. After a deluxe continental breakfast, we depart for Branford, Connecticut. 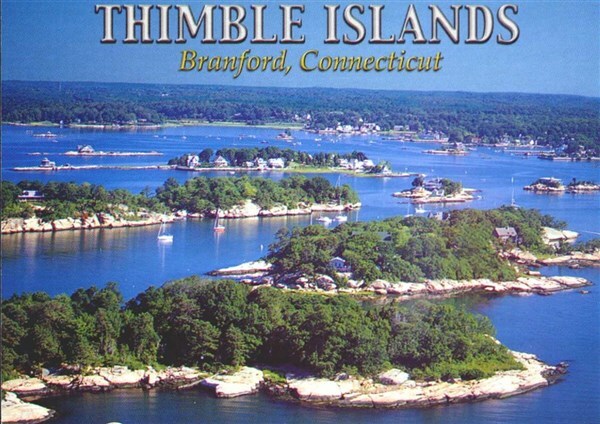 Upon our arrival, we join the Captain and the crew of the "Sea Mist" for a delightful, 45-minute narrated cruise to the Thimble Islands. The archipelago of islands was actually hilltops before the last ice age. They are formed of pink granite and have many rocks, ledges, and outcroppings. The islands are estimated to number between 100 and 365 depending on how you differentiate between an island and a rocky outcropping. First discovered in 1614 by Adrien Block, these islands were used for everything from farming to quarrying granite, from bootlegging to hiding Captain Kidd's treasure. Captain Kidd sailed here in 1665, and some people insist you can still feel his presence today. Following our cruise settle back and enjoy a movie on our drive home, while reminiscing about a great coastal weekend get-away, full of fun and entertaining attractions on the Southern Seacoast of Connecticut! Note: This tour has a maximum group size of 45 passengers!